This week I want to talk to you about a very common eye condition called Blepharitis. It can develop at any age and the main symptoms are that the edges of your eyelids become red and swollen. In most cases both eyes are affected, but often one eye is worse and generally its worse in the morning. Blepharitis isn’t contagious. Also, if you get seasonal allergies you could be suffering with red, itchy swollen and dry eyes. The products below would be perfect for you! I will write a post about seasonal allergies later this month with loads of advice and amazing products to give you some relief. Artificial Tear Drops to help with dry eye such as Hycosan Original Preservative-Free Lubricating Eye Drops. Hycosan Original (0.1% Sodium Hyaluronate) is a sterile preservative free eye drop which is ideal for mild to moderate symptoms of Dry Eye. It can be used for 6 months after first opening. We like the Hycosan product because this unique device also dispenses a single calibrated drop with each click, and as such it offers incredible value for money when compared to more traditional Preservative Free options. 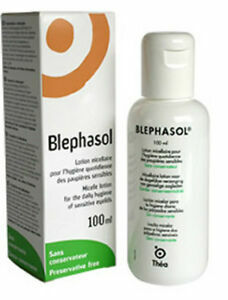 Blephasol Eyelid Hygiene Blepharitis Lotion. Do you need help with Red, Itchy, Sore Eyes this Hay fever season? With the Hay fever season at full throttle, I have been getting loads of emails asking about what treatments are available for red, itchy eyes. So this week I want to talk to you about a very common eye condition called Blepharitis. It can develop at any age and the main symptoms are that the edges of your eyelids become red and swollen. In most cases both eyes are affected, but often one eye is worse and generally its worse in the morning. Blepharitis isn’t contagious. Also, at this time of year there is so much pollen about. As we approach July the grass pollen season is ripe and if you get seasonal allergies you could be suffering with red, itchy swollen and dry eyes. The products below would be perfect for you! I will write a post about seasonal allergies later this month with loads of advice and amazing products to give you some relief. HealthCare4All’s Essential Top 3 Products to Help With Hay Fever Symptoms including Sinusitis. Hay fever season is most definitely underway and it a seems lot worse this year than it has been previously. One in Four people in the UK suffers from an allergic reaction to pollen known as ‘Hay Fever’. Experts are predicting very high pollen levels throughout the UK for at least the next few WEEKS. It is causing misery to people looking for a break from the symptoms that are similar to a cold. A hot, dry summer will help to lower pollen levels, but what are the chances of that happening in the UK!! The “pollen bomb” erupted when a long, wet winter was followed by sudden spell of sun and balmy temperatures. The “condensed spring” has led to “intense flowering” across the country, and counts have hit a record high after recent rain and warm weather caused grass and trees to grow even further. Grass pollen is the main culprit and is worse mid May to mid July. The problem is that even after all the usual symptoms are gone, there are many unfortunate people, like myself, that end up with Sinusitis. Its kind of like a parting gift from the cold virus that is definitely not wanted and so hard to shift! Sinusitis is a common condition in which the lining of the sinuses becomes inflamed. It’s usually caused by a viral infection and often improves within two or three weeks. 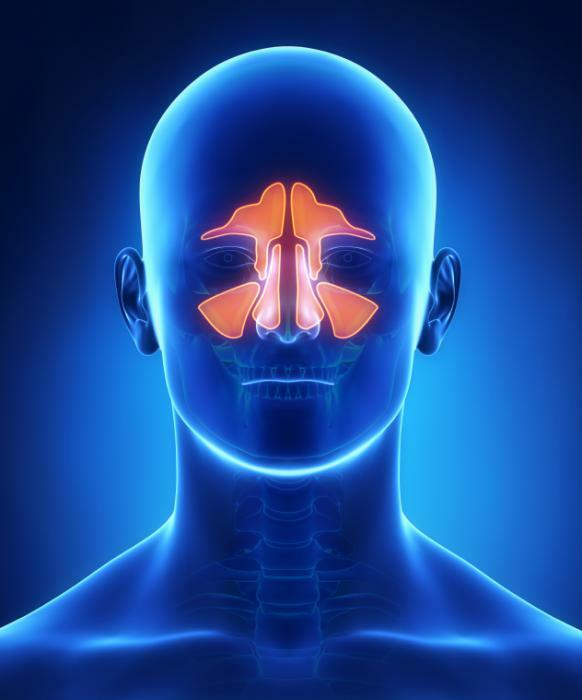 The sinuses are small, air-filled cavities behind your cheekbones and forehead. The mucus produced by your sinuses usually drains into your nose through small channels. In sinusitis, these channels become blocked because the sinus linings are inflamed (swollen). Sinusitis usually occurs after an upper respiratory tract infection, such as a cold. If you have a persistent cold and develop the symptoms below, you may have sinusitis. Children with sinusitis may be irritable, breathe through their mouth, and have difficulty feeding. Their speech may also sound nasal (as though they have a stuffy cold). The symptoms of sinusitis often clear up within a few weeks (acute sinusitis), although occasionally they can last three months or more (chronic sinusitis). If you are currently suffering with a cold, sneezing, coughing or sinusitis, you are not alone! I have done all the research for you! So here are HealthCare4all’s recommended winter products to help. NeilMed #Sinus Rinse is a #natural #soothing saline #nasal wash. A large volume, low positive pressure nasal wash is the most effective way to irrigate the nose based on current medical studies. Daily rinsing is safe and will keep your nasal passages clean, healthy and open. What does it help with? Its very easy to use but have a look at the video below to make sure you use it correctly! I personally use it and absolutely love that afterwards my sinuses feel so much clearer and pain free! The Second product we recommend is one that we mentioned a few months ago. At this time of year we suggest that people should do all they can to help boost their immune system to fight off any flu, cold or virus that’s going round. One way is to take a supplement, and we recommend Revidox, as its the only Supplement that’s efficacy supported by clinical trials. Revidox is an anti-aging Natural supplement that not only keep healthy cells healthy but also rapidly replaces your dead cells too. REVIDOX+ Helps maintain healthy hair, skin and nails as well as adding to normal cognitive function. It is a natural product which is made from ingredients found in fruits, berries, grapes and of course red wine. HealthCare4All believe that £34.99 for 60 capsules is a worthwhile investment into your health this hay fever season. Give Hay Fever and Sinus pain the Elbow! The third product is The Original Qu-Chi Hayfever Band ®. It has been our top selling product for Hay fever for nearly 11 years, also has been the number one best seller on Amazon.co.uk for allergy products for FIVE years! The Qu-Chi hay fever band has been features in loads of press from the SUN newspaper to HELLO Magazine and been on ITV’S This morning. The reason I am mentioning it today is because we have had so many emails from customers telling us it really helped to clear their sinuses whilst they wore it. Customers have also told us its helped give them relief of symptoms from allergies to pets too. We love that its a drug free, natural product & has no side effects like drowsiness that you may get with antihistamines. We think combined with the Neilmed Sinus Rinse, not only do your Sinuses have hay fever season covered but you will have all year round protection! This week I want to talk to you about a very common eye condition called Blepharitis. It can develop at any age and the main symptoms are that the edges of your eyelids become red and swollen. In most cases both eyes are affected, but often one eye is worse and generally its worse in the morning. Blepharitis isn’t contagious. Also, at this time of year there is so much pollen about. As we approach mid May, grass pollen season will start and if you get seasonal allergies you could be suffering with red, itchy swollen and dry eyes. The products below would be perfect for you! I will write a post about seasonal allergies later this month with loads of advice and amazing products to give you some relief. It appears that I was not the only person that just had the awful ‘Flu’. Everyone seems to be sniffling or coughing at the moment! Give Sinus pain the Elbow! The third product is The Original Qu-Chi Hayfever Band ®. It has been our top selling product for Hay fever for nearly 8 years, also has been the number one best seller on Amazon.co.uk for allergy products for FIVE years! 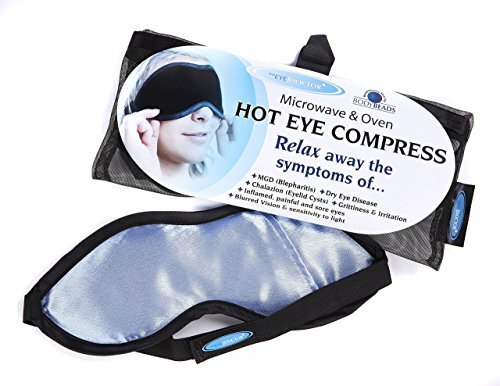 Do you suffer from Dry, Sore, itchy eyes that burn or feel like they have grit in them? If so, this weeks blog is for you! HealthCare4All’s Essential Top 3 Products to keep your Sinuses Clear and Pain Free! It appears that I was not the only person that just had an awful ‘Summer cold!’ Everyone seems to be coming down with a cold in Britain even though its so hot outside! The problem is that even after all the usual symptoms are gone, there are many unfortunate people, like myself, that end up with Sinusitis. Its kind of like a parting gift from the cold virus that is definitely not wanted and so hard to shift! Brand new colour range released for 2012 – these are made from a new more comfortable material and are available in Grey, Navy Blue, Yellow and Black – click here to purchase. We have had many customers requesting a larger range of colours, so we are delighted to announce their arrival! I live in New Zealand, so I have a couple of months to go until the hayfever season kicks in. I did trial it for a couple of days, it was quite comfy but left red marks on my arm, however that won’t put me off using it when the time comes. Accupuncture works for me, so I’m hoping this band will to. It will be such a relief not to have to pop pills and potions. I couldn’t source the band in NZ, but was lucky enough to find ‘Healthcare4all’, they were excellent to deal with and my band..